Sardar Sawar Khan, former Advisor to the Prime Minister of Azad Kashmir said that the presence of over 700,000 Indian forces has made Kashmir the largest military concentration anywhere in the world. He said that our demand is simple, let the people of Jammu and Kashmir determine their own future without any external coercion and intimidation. Sardar Sawar said that Prime Minister Modi needs to be reminded that India must fulfill its pledge given to the people of Kashmir at the Security Council before its candidacy is considered for its permanent membership. Ignoring that fact will be a rebuke to the conscience of the world powers. Mr. Ishtiaq Hameed of All Parties Hurriyet Conference said that Kashmir is recognized by the United Nations as a disputed territory whose status is yet to be determined by its people. And as president Bill Clinton said that ‘Kashmir is the most dangerous place in the world.’ Its resolution will guarantee peace and stability in the region of South Asia. Ms. Naseema Wani of Srinagar reminded President Obama of his pledge that he made on October 30, 2008, “We should probably try to facilitate a better understanding between Pakistan and India and try to resolve the Kashmir crisis.” She said that let there be no doubt that Kashmir is a disputed territory and not an integral part of any member state of the United Nations. Sardar Zulfiqar Khan reminded that the history of past sixty-six years testifies that the bilateral talks between India and Pakistan have been always fruitless. So Kashmiris need to be included in the talks. Sardar Tahir Iqbal said, although there are three parties concerned with the Kashmir dispute: India, Pakistan and the people of Kashmir. But the primary and principal party is the people of Kashmir, because it is ultimately their future, the future of 18 million people of Jammu & Kashmir that is at stake. Gulfaraz Inqilabi said that the Kashmir dispute is one of the oldest issues on the agenda of the United Nations Security Council. The United Nations has passed resolutions that have given the people of Jammu & Kashmir the right to decide their future. He added that no solution would be acceptable to the people of Jammu & Kashmir unless the negotiations include the Kashmiri leadership. Sardar Imtiaz Giralavi spoke about the mass graves which have been discovered in the Valley of Kashmir. He quoted Indian journalists who spoke about the latest discovery of more than 6,700 mass graves in Kashmir. Sardar Taj Khan said that the Kashmiri resistance demands the unity of action among the leadership not only in Azad Kashmir but in Indian Occupied Kashmir as well. He said the world powers should respect the wishes and aspirations of the people of Kashmir which is the elementary right of every human being in any civilized society. Sahibzada Imtiaz Zafar spoke about the huge sacrifices given by the people of Kashmir in seeking their birth right of Azaadi. 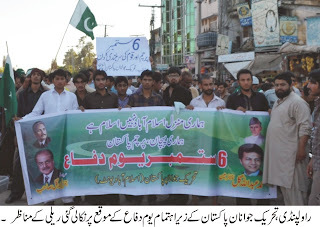 He said that the sacrifices of the people of Kashmir will not go in vain. 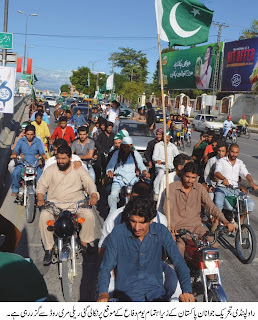 Sardar Zubair Khan highlighted the presence of 700,000 Indian military and paramilitary forces which has made Kashmir virtually the hell for its inhabitants. He said that the United States has a moral responsibility to come to the rescue of the oppressed people of Jammu and Kashmir. Johnny Bgood said the sacrifices of the people of Kashmir demand that the Government of Pakistan, irrespective of its political affiliation must support the people of Kashmir at the diplomatic front. He said there is a consensus is Pakistan that the right of self-determination of the people of Kashmir is a legitimate right which needs to be supported at all cost. Sardar Imtiaz Khan, New Jersey said that Kashmir is not a border dispute but an international conflict that demands just and fair settlement to the satisfaction of all patties concerned. Mr. demanded that the rights of peaceful association, assembly and demonstrations in Indian Occupied Kashmir must be respected. Sardar Niaz Hussain, New Jersey reiterated that the people of Jammu & Kashmir were promised the right to determine their future status through consecutive United Nations resolutions in 1948 and 1949. This was agreed upon by both India and Pakistan but was never honored until today. Sardar Zahid Khan, New York emphasize that the action by the United Nations is urgently needed to address the grave human rights situation in Kashmir. Sardar Sabir of New York said that Prime Minister has forgotten that it was non other than India which brought the issue of Kashmir to the United Nations. 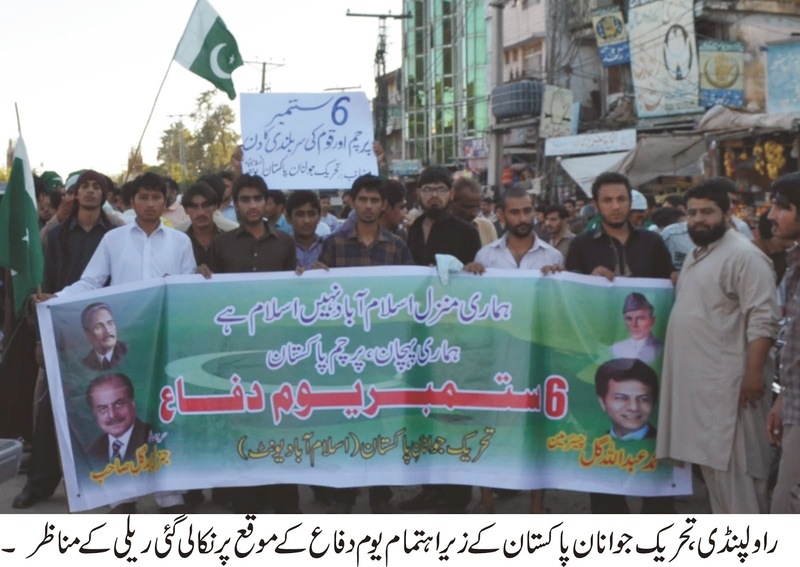 India has to honor its international obligations toward the people of Kashmir. What do we want? Freedom! When do we want it? Now! What do we want? Plebiscite! When do we want it? Now! 5, 6, 7, 8 let Kashmiris decide their fate. Srinagar: After Kashmir flood JVC hospital recovered once again people should come their for their treatment. Srinagar: Jamaat Islami Jammu and Kashmir formed a central team that will take stock of the damages in the flood hit areas of the valley of Kashmir. Naibasti Islamabad 3 houses collapsed. Dahruna Dooru 26 houses collapsed. Hilad Kokernag 8 houses collapsed. Trahpoo Achabal 1 house collapsed. Kanjigund Bijbehara 41 houses collapsed. Hasanpora Tawala 142 houses collapsed. 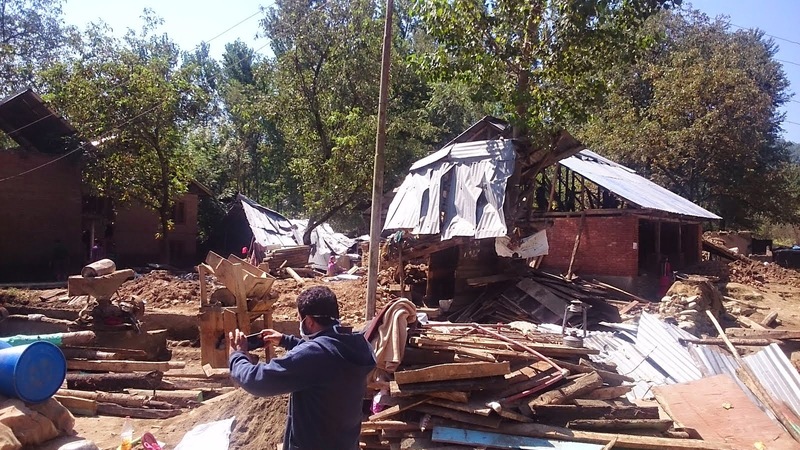 Hasanpora bagh 20 houses collapsed. It is in addition to the vast damage to standing crops and paddy crop and other standing structures and animals and house hold belongings. 3. Photographs of Relief Distribution in Kashmir Flood hit areas issued by All Parties Hurriyat Conference (G). 2. 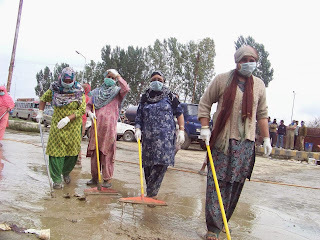 Photographs of Relief Distribution in Kashmir Flood hit areas issued by All Parties Hurriyat Conference (G). Photographs of Relief Distribution in Kashmir Flood hit areas issued by All Parties hurriyat Conference (G). Srinagar: Kashmir Watch has succeeded in developing contact with its reporter in Kashmir. According to reports thousands of people are believed dead after floods hit many parts of Kashmir. Deliberately �No rescue operation move� by Indian Army may escalate more deaths, told reporter on phone. Phone lines in some parts of Kashmir have been restored shortly after 9 pm on Tuesday. Indian Army is just showing footage of rescue and on ground they are doing nothing. 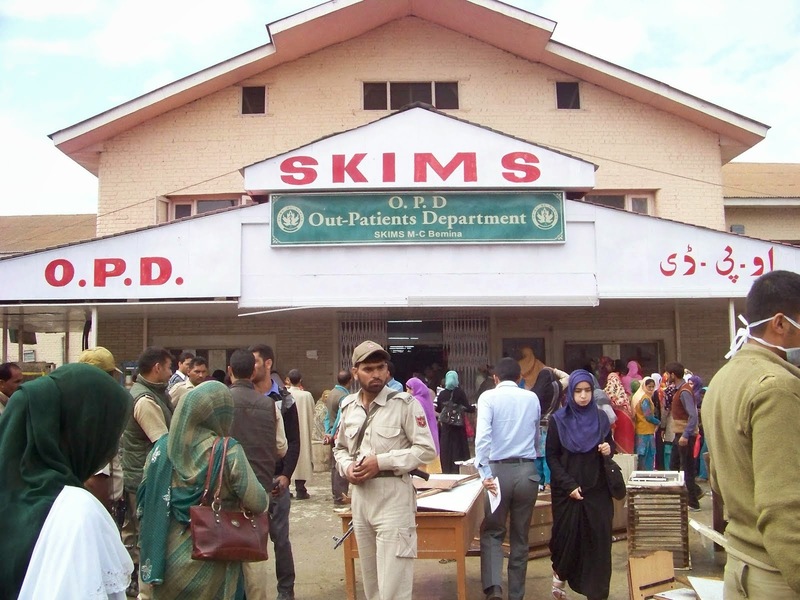 According to the Kashmir Watch reporter many relatives of people have reported Indian Army to rescue around 200 people stranded at Lal Ded Hospital in Srinagar and they were surprised to hear when they told that they have to first save the Sikhs from the locality and Granth Sahib from the Gurduwara. Indian helicopters are only taking sorties over Srinagar and rescuing only their selected persons most probably their informers and officers in cover as per instructions from Badamai Bagh cantonment. Thousands of stranded people are waiting for help on the top floors of their houses in many parts of Srinagar. Rajbagh, Jawahar Nagar, Badshai Bagh, Wazir Bagh, Barzulla, Sana Nagar, Rawalpora, Nattipora are completely hit by heavy floods while as other side of bypass Hyderpora area is safe. Hundreds of houses have collapsed resulting death of thousands of people. According to Kashmir Watch in down town Khanyar, Hawal and Soura localities are safe and less flooded. There are no reports from other parts of Kashmir as the Administration is totally defunct and Indian Army is controlling Kashmir space and waters to watch the death and destruction of Kashmiri people. in 2005 when thousands of people died after an earthquake hit the both the sides of Kashmir, Indian Army had been heard by the militant wireless station by saying that " Let them (Kashmir) die to save our bullets". Meanwhile Kashmiris based in London hold an emergency meeting and approached Govt of India to allow them to aid the stranded people in Kashmir. According to the reports from London Govt of India has denied any UK based or foreign NGO to start any aid or charity activities in Kashmir. 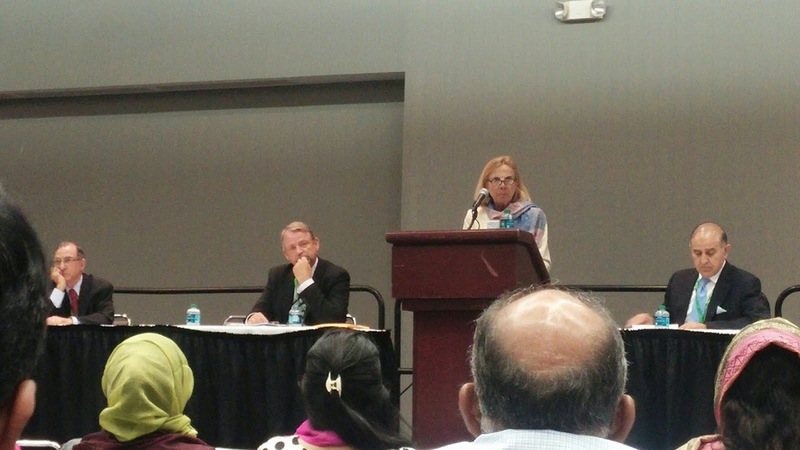 Kashmir: Time for Peace and Justice', held during the 51st Annual Convention of ISNA, at Detroit, Michigan. (USA). Kashmir: Time for Peace and Justice’, held during the 51st Annual Convention of ISNA, at Detroit, Michigan. (USA).